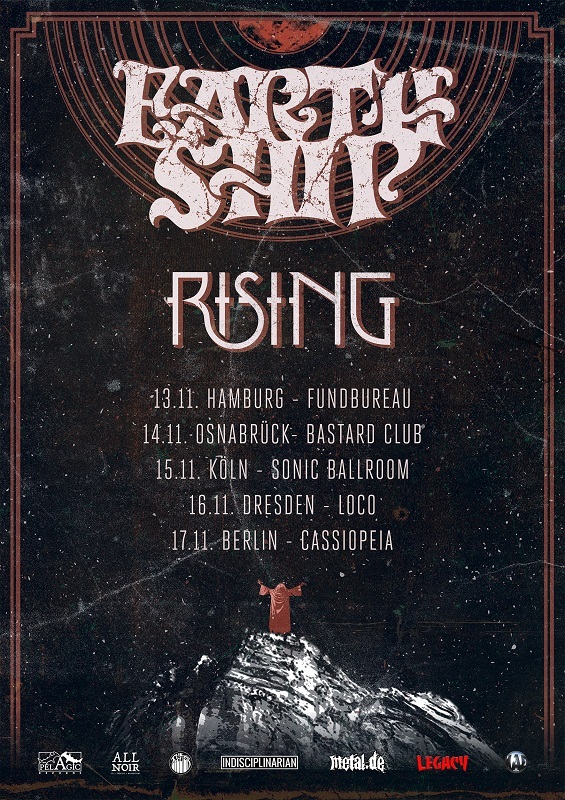 StaticAge Magazine | Blog | RISING releases video for first single Salted Earth! Epic metal quintet RISING recently announced its fourth album ‘Sword And Scythe’ for an release on October 26th via Indisciplinarian. Today, the band releases a brand new music video for the album’s first single ‘Salted Earth’ created by the band’s visual mastermind, singer Morten Grønnegaard. See RISING’s video for ‘Salted Earth’ HERE! ‘Salted Earth’ is guested by Anders Hjort Straarup on trombone and renowned Danish rock musician Tim Christensen (Dizzy Mizz Lizzy, Tim Christensen) overseeing the grandiose mellotron parts - not only on this song, but on four album tracks. ‘Salted Earth’ will see its single release on digital platforms tomorrow Friday September 28th. 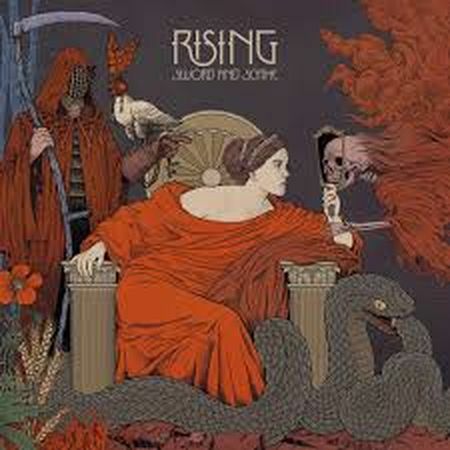 RISING takes an ambitious leap with the band’s fourth album ‘Sword And Scythe’, a concept album on the history of mankind seen from the perspective of cosmic circularity, where the full potential of the band’s musical vision unfolds in a collection of songs of both progressive outlook, melodic mastery and fierce aggression. ‘Sword And Scythe’ consists of ten songs and two short instrumentals produced by Jacob Bredahl and RISING, while the album’s artwork are once again created by singer Morten Grønnegaard.